On December 26. 2018, Willa Jean Turner Chalmers, born to the late Lillie Mae Lloyd Tynes and Madison Lloyd on May 3, 1944 in Newville, Alabama passed away. She was the youngest in a family of 4 siblings Juanita Turner Davenport, Willie Turner (who preceded her in death), Sue Turner Campbell (who preceded her in death). She later married Ivory Chalmers (who preceded her in death). Jean enjoyed entertaining and cooking for friends and family. She was also a very skilled seamstress. She was a member of Park Hill Seventh-day Adventist church in Denver, Colorado. Sophia (niece), recalls special memories with Jean; Jean was known as a seamstress, Sophia remembers asking her Aunt Jean to make a dress for her. Aunt Jean took my measurements and ask the type of fabric I wanted and began the work of making the dress. About a week later the dress was finished. I was able to wear the dress proudly and I recall the special label that read, "Made Especially for You". Aunt Jean was also very helpful when it came to assisting me while teaching in the Adventist Schools. I would ask Aunt Jean to help with the children and grading papers and Aunt Jean was always willing to lend a hand. Hugh Campbell (brother-in-Law) recalls Jean always tagging along while he was dating Sue (sister who preceded her in death) when Jean was 14 years old. I always looked at Jean as a little sister. Debbie (niece) recalls the kind words and giving heart of her Auntie. Auntie took care of us while mom was working. On my first plane trip, Jerome and I came to visit Auntie in Denver. Auntie showed us many sites in Denver. Auntie and I developed a friendship through the years often speaking on the phone for hours laughing as we recounted memories in our lives. I will miss Auntie. May she rest in Peace. Marian (niece) recalls the many phone conversation she had with Aunt Jean. I was only 10 years and 1 day younger than Aunt Jean. We never forgot each other’s birthdays. She and I spoke as friends instead of auntie to niece. I loved her giggle and I will miss not being able to communicate with her. On this day as we say our final good-bye to her physical presence, we know her spiritual presence will always be in our hearts today and forevermore. 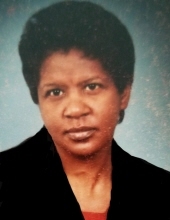 Willa Jean Chalmers, sister of Juanita Davenport, Sister-in-Law of Hugh Campbell, mother of Sergei Thomas, Angela Thomas, Christopher Thomas and Anthony Crum grandmother of Jaren Thomas, Alexander Thomas, Ashton Thomas-Fuller, Shaquille Crum, aunt of Sandra Thomas George, Lilly Marian Thomas Crockett and her husband McKinley Crockett, Jr., Deborah Thomas McCord and her husband Jimmy McCord, Jr., Edith Thomas Johnson, Jerome Davenport and his wife Kimberly Davenport, Sophia Campbell. Funeral services will be held Monday, January 14, 2019, 10:30 a.m. at Park Hill Seventh-Day Adventist Church located at 3385 Albion St, Denver, CO 80207. Viewing will be held one hour before the service. Please forward any donations to the church on behalf of the family. To send flowers or a remembrance gift to the family of Jean Chalmers, please visit our Tribute Store. Viewing will be held one hour before the service. "Email Address" would like to share the life celebration of Jean Chalmers. Click on the "link" to go to share a favorite memory or leave a condolence message for the family.